The team is excited to announce that Haily Tift has been promoted ahead of the 2018 season. The Seattle Wallbangers, Highline Bears, and North Sound Emeralds round out the 2018 Bells Schedule. Opening Day is set for Monday, June 4, 2018! Noah Cloonan will join the join the Bells and provide play-by-play coverage for the 2018 season. A former member of our 2014 championship team, Mo Ceja, is continuing his career in Boise. Former Bell, Andrew Summerville, has been tearing it up for the St. Louis Cardinals organization. As a pitcher for the State College Spikes, Summerville averaged an ERA of 1.64 in the 13 games he appeared in. This included 10 starts, 60.1 innings pitched and a 4-1 overall record on the season. Summerville also was earned Pitcher of the Week honors for late August in the New York-Penn League. Some of you may remember Andrew from the 2014 WCL Bells Championship team, and it appears that he is still playing at the high level we remember him at. To continue to follow Summerville's minor league career, click here. Nate Regan will join the front office staff as the Sales Coordinator ahead of the 2018 season. Darrien Moran will join the Bells coaching staff for the 2018 season. Dallas Carroll has proven himself during his first season in the minors and continues to shine in the Milwaukee Brewers organization. 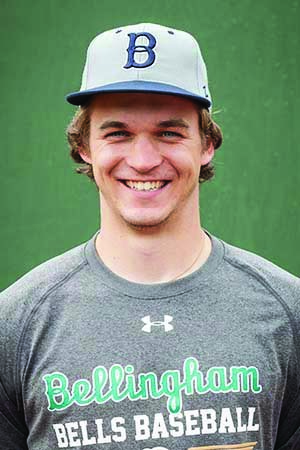 Former Bell, Hunter Haworth, has been making an impact with the GCL Boston Red Sox. Catch up with former Bell and one of the Philadelphia Phillies' top prospects, Spencer Howard. Bob Miller has been named the new head coach for the Bellingham Bells, the team announced today. Catch up with two former Bells making their way to the majors as members of the Everett AquaSox, David Banuelos and Aaron Stroosma. The Bellingham Bells playoff hopes are still alive, now awaits result of Wenatchee and Corvallis make-up game. Bellingham wins in dramatic fashion thanks to a Kyle Stowers walk-off! 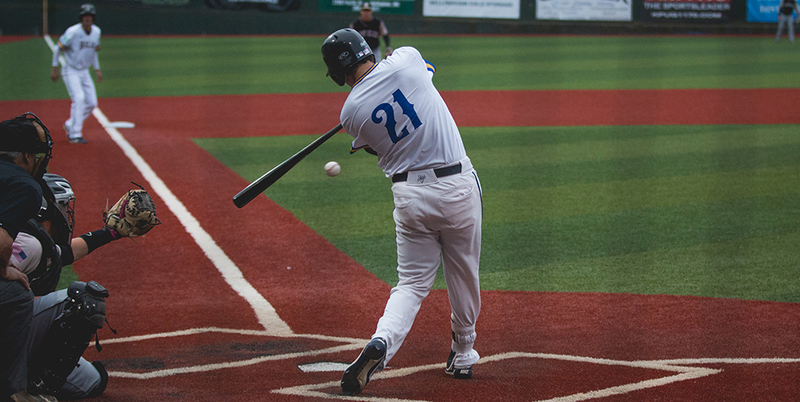 The Bells fell 11-1 tonight against the Wenatchee AppleSox. The Bells claimed the first game of the final and most important series of the regular season, topping the Wenatchee AppleSox 7-3. 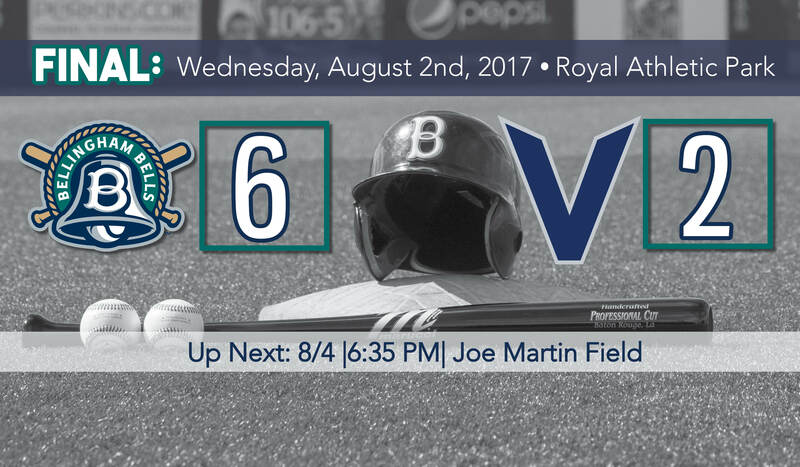 The Bellingham Bells defeated the Victoria HarbourCats 6-2 Wednesday evening at Royal Athletic Park in Victoria. 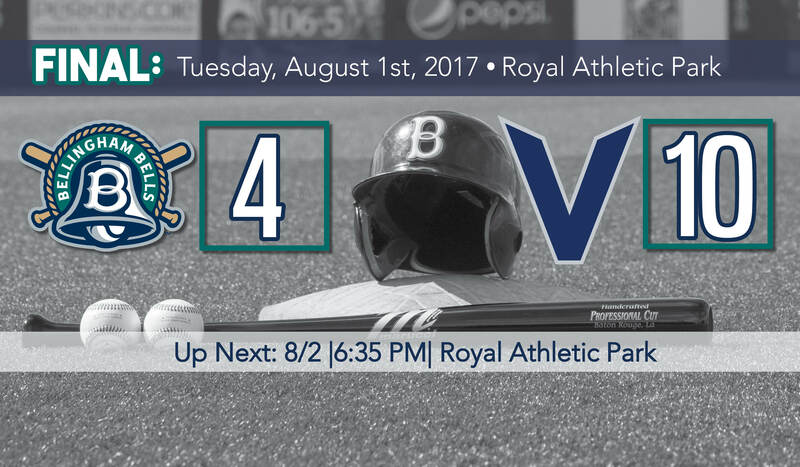 The Bellingham Bells were defeated by the Victoria HarbourCats 10-4 Tuesday evening at Royal Athletic Park in Victoria. 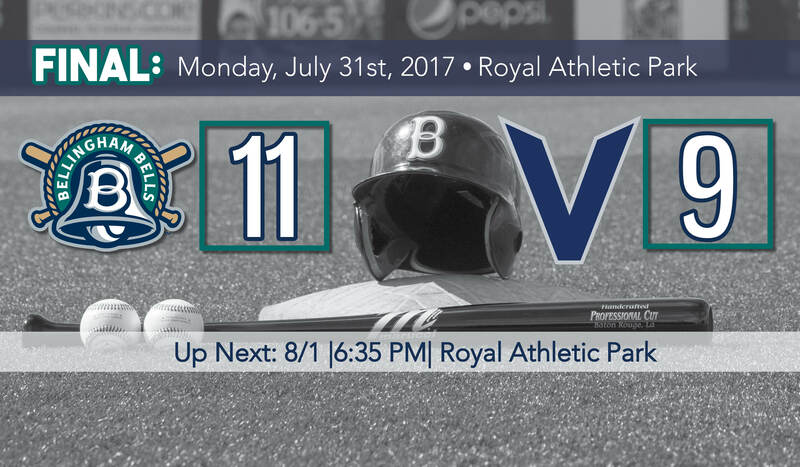 The Bellingham Bells defeated the Victoria HarbourCats 11-9 at Royal Athletic Park Monday evening. Bellingham had a ninth-inning comeback spoiled by Kelowna’s own comeback, and fell 14-15 in an offense-filled slugfest. The Bellingham Bells defeated the Kelowna Falcons 4-3 at Elks Stadium in Kelowna on Saturday night. The Bellingham Bells fell to the Kelowna Falcons 7-5 at Elks Stadium in Kelowna Friday Night. The Bells used a big six-run third second inning as they swept the Cowlitz Black Bears aside 7-5. 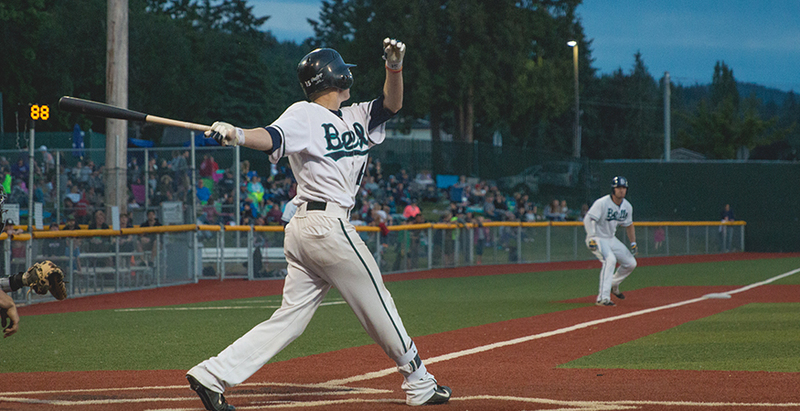 The Bells kept pace in their playoff chase, as they defeated the Cowlitz Black Bears 5-1. 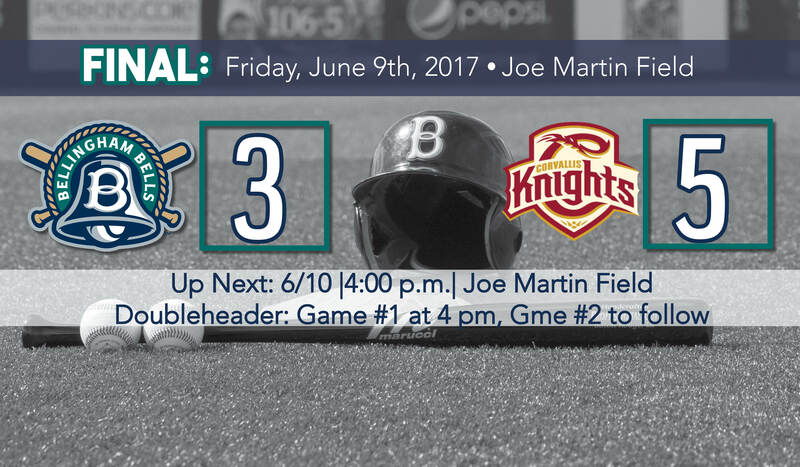 The win secured a series win for the Bells, their second series in a row. Bells take game one against Cowlitz, 14-5. 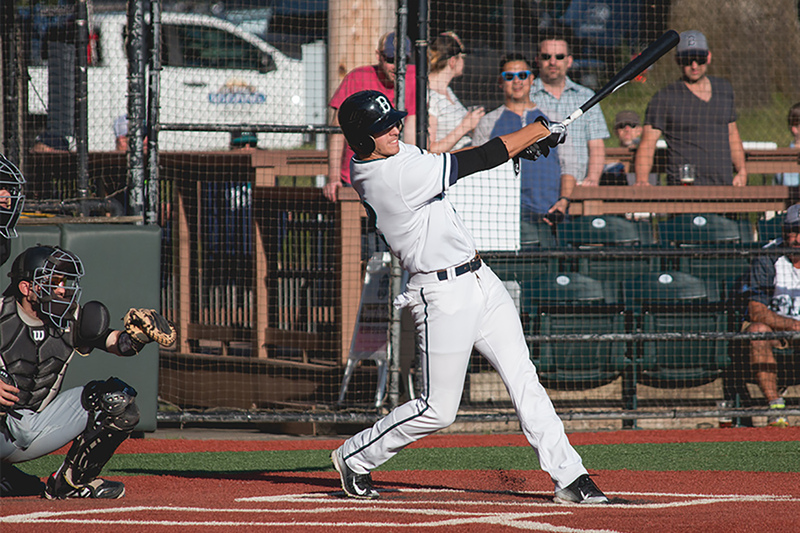 Chase Illig broke the WCL record for home runs with his 12th on the season in the top of the first inning as the Bells won the series with the Wenatchee AppleSox. 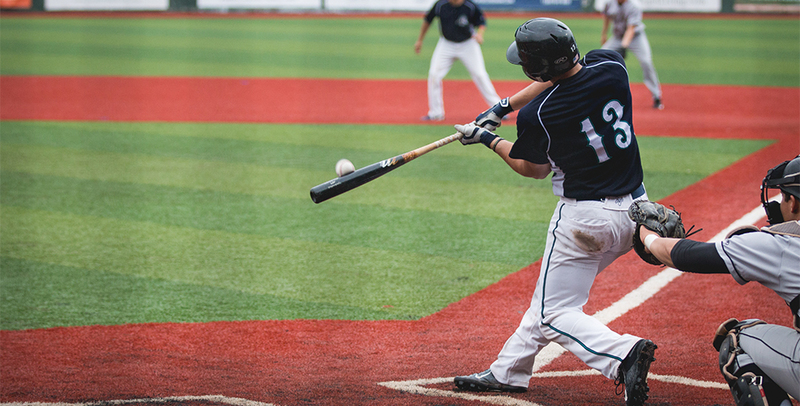 Behind Chase Illig's two homeruns and four long balls on the evening, Bellingham took down the Wenatchee AppleSox 12-6 at Paul Thomas Field in Wenatchee Sunday evening. The Bellingham Bells fell to the Wenatchee AppleSox 12-5 at Paul Thomas Field at Wenatchee Valley Community College Saturday night. 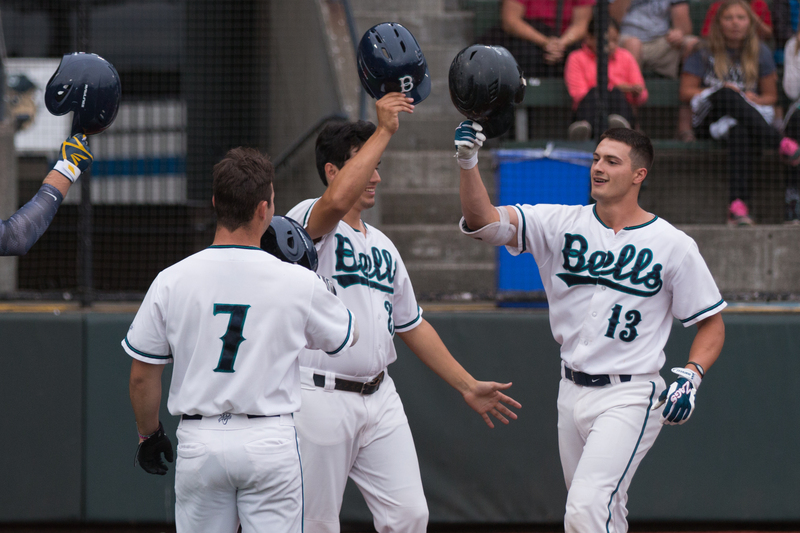 Chase Illig’s hot bat led the way as the Bells defeated the Victoria HarbourCats 10-7 in the series finale. Victoria takes game two of the series, 9-7. The Bells fell in what was a close game, dropping the season-series opener against the Victoria HarbourCats 5-2. The Bells win the series, taking the rubber match 11-5. Yakima Valley evens the series, taking game two over Bellingham 5-4. Bells take game one from Yakima, 4-3. The Bells fell to the Elks despite thirteen hits from the offense. The Bend Elks defeated the Bellingham Bells 10-0 in Bend on Tuesday Evening. The Bellingham Bells fell to the Bend Elks 13-3 in Bend on Monday Night. 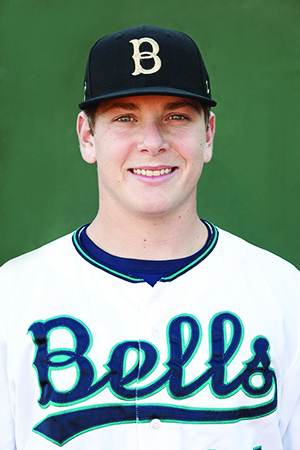 Five Bellingham Bells have been awarded All-Star honors this season. The Bellingham Bells defeated the Port Angeles Lefties 4-2 at Civic Field in Port Angeles Sunday evening. The Bellingham Bells fell to Port Angeles Lefties 3-2 at Civic Field in Port Angeles Saturday Night. The Bellingham Bells opened the second half of the 2017 West Coast League Season with a 5-2 victory over the Port Angeles Lefties at Civic Field Friday night. The Bellingham Bells defeated the Walla Walla Sweets 6-1 on Wednesday evening at Borleske Stadium in Walla Walla. 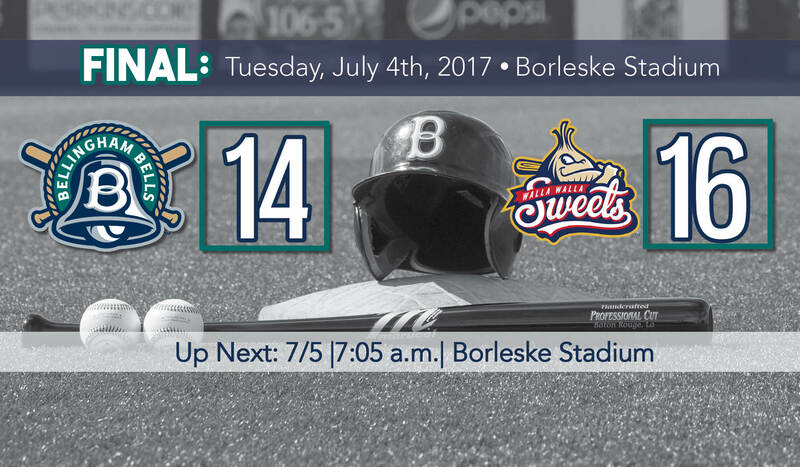 The Bellingham Bells fell 16-14 to the Walla Walla Sweets on the Fourth of July. 16 pitchers. 11 errors. 36 runners left on base. 39 hits. 22 runs scored. 16 innings. 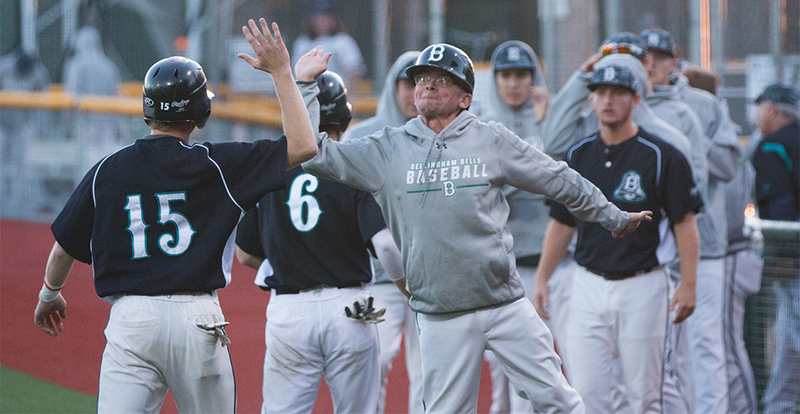 There are many ways to describe the Bells 12-10 win over Walla Wala in 16 innings Monday night, but the numbers tell the story better than words can. Sweets take game two, 5-4. Walla Walla takes takes the series opener, 7-5. Longtime ballball executive, Brian Sloan, assumes his duties today as president. Evan Hurn with the walk-off single to propel the Bells in extra innings. The loss still leaves the Bells in first place for the North Division. 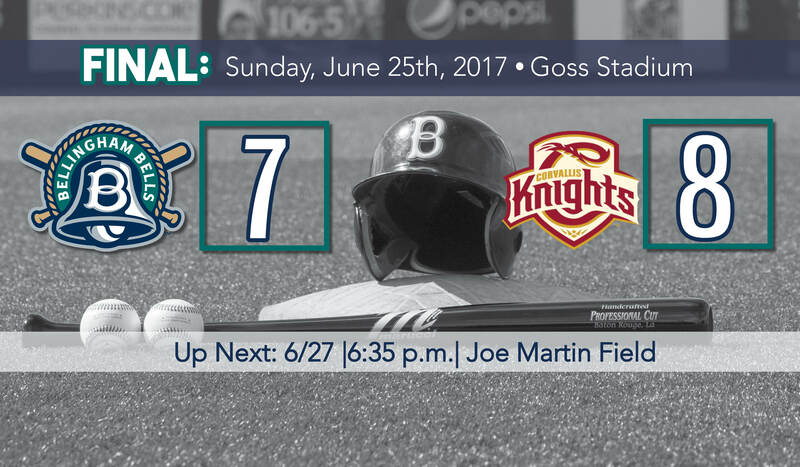 The Bellingham Bells (13-7) defeated the Corvallis Knights (12-8) 6-2 on Saturday night at Goss Stadium in Corvallis. 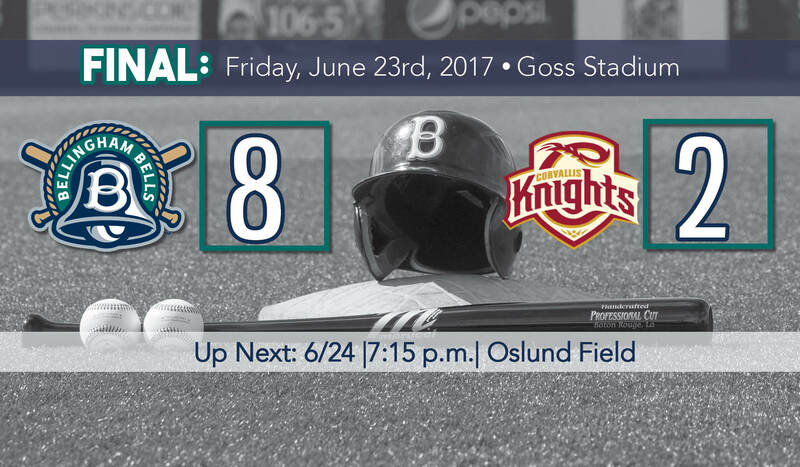 The Bellingham Bells (12-7) scored the final seven runs to defeat the Corvallis Knights (12-7) 8-2 on Friday night at Goss Stadium in Corvallis. Bells Have Late Push, Rally for The Win! 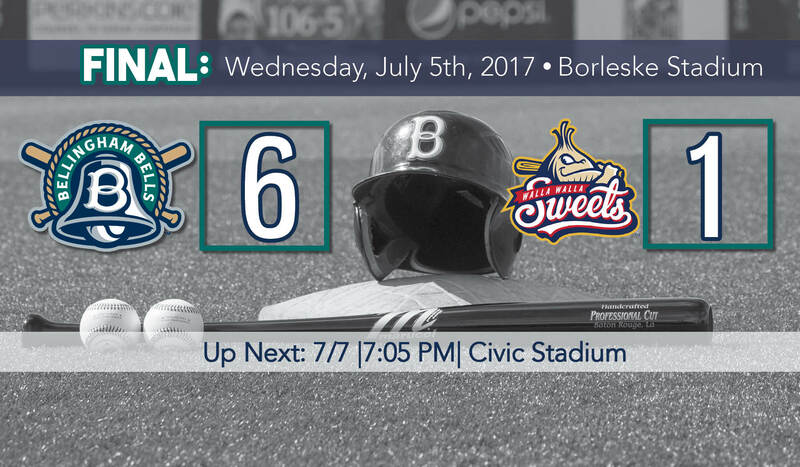 Kelowna takes game two of the series, 6-5. 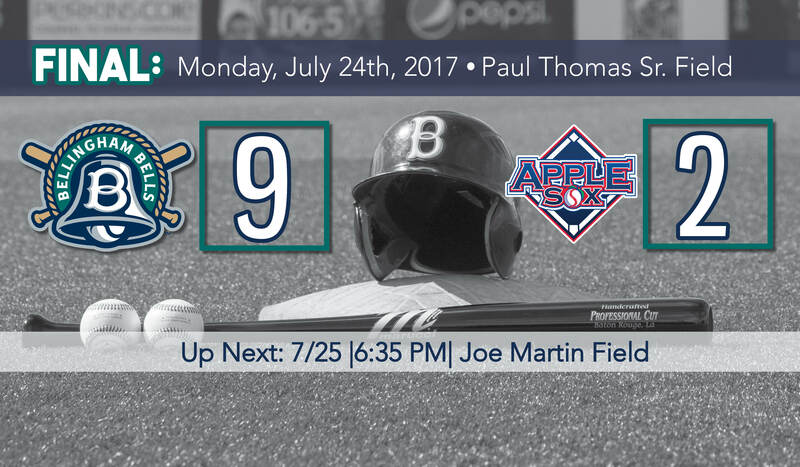 Kelowna takes game one of the series, 8-1. Bells continue to roll with another win! The Bells sweep the series versus the Bend Elks, winning tonight 8-0. The Bells have a great night offensively, winning the game 14-1! 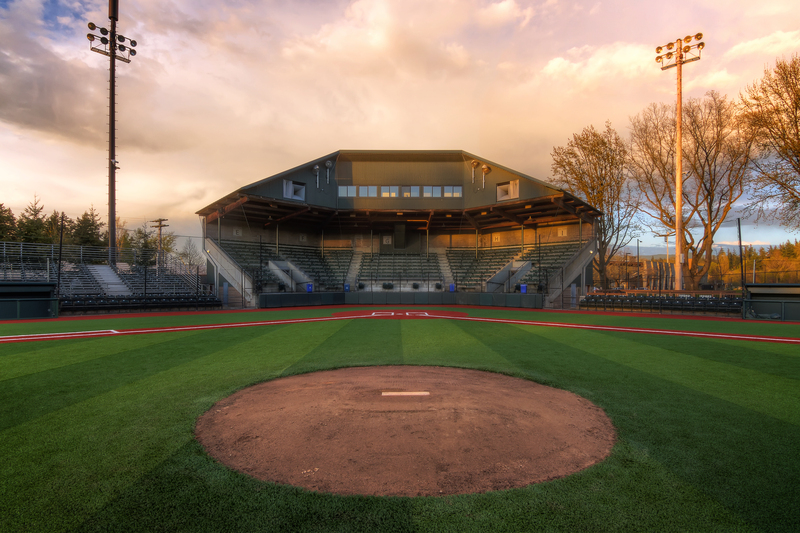 In the first non-league game of the Bellingham Bells schedule, they beat the Kitsap BlueJackets 4-1 on a beautiful day. 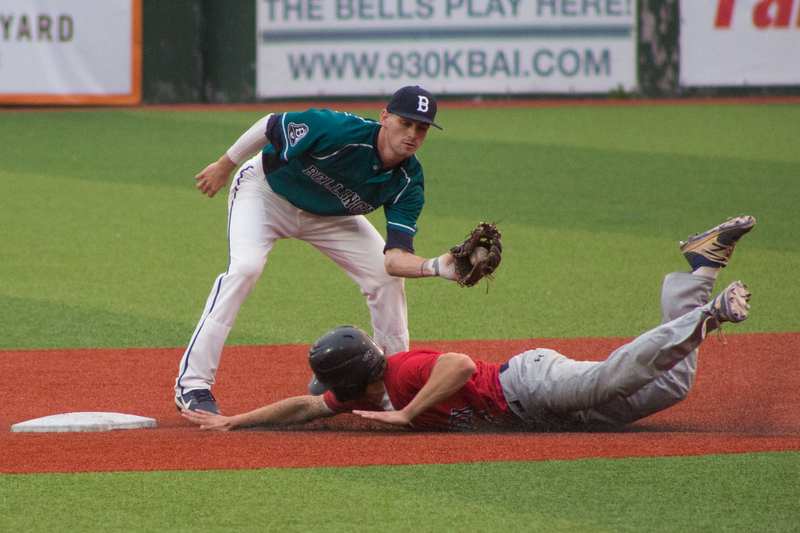 Bellingham completed a sweep of both the day and the series on Tuesday, winning the final two games of the series 5-3 and 4-0 over the Gresham GreyWolves. Colin Ridley entered Sunday's game at Gresham with two runs batted in on the season. By the end of the Bellingham's 13-5 win, Ridley had two homeruns and four runs batted in the game. 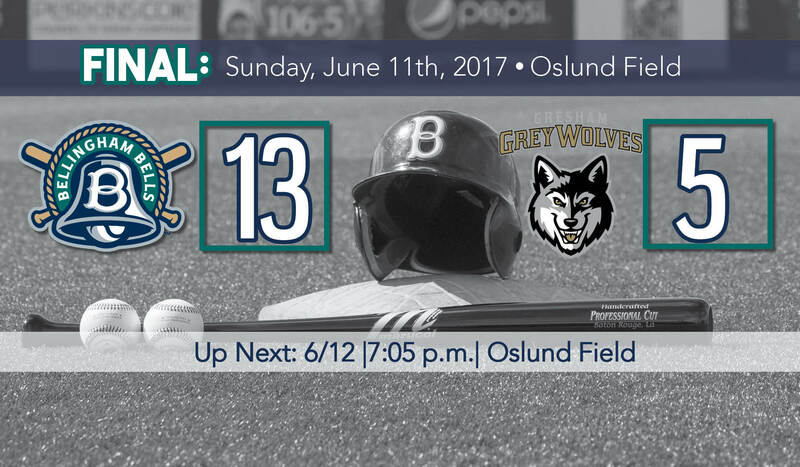 Bells end the series on a win before they head to Gresham! 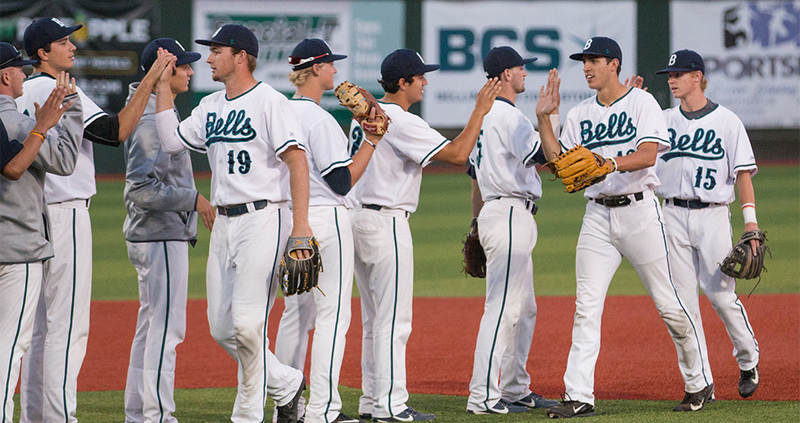 The Bells battle through 11, but fall just short to Corvallis, 5-3. Due to a rainout on Thursday, June 8th, the Bells will have a DOUBLEHEADER on Saturday, June 10th. First game at 4 p.m. The Bellingham Bells (3-3) defeated the Yakima Valley Pippins (3-3) 9-6 on Wednesday night at Yakima County Ballpark in Yakima. The Bellingham Bells (2-3) fell to the Yakima Valley Pippins (3-2) 9-5 on Tuesday Night at Yakima County Ballpark in Yakima. 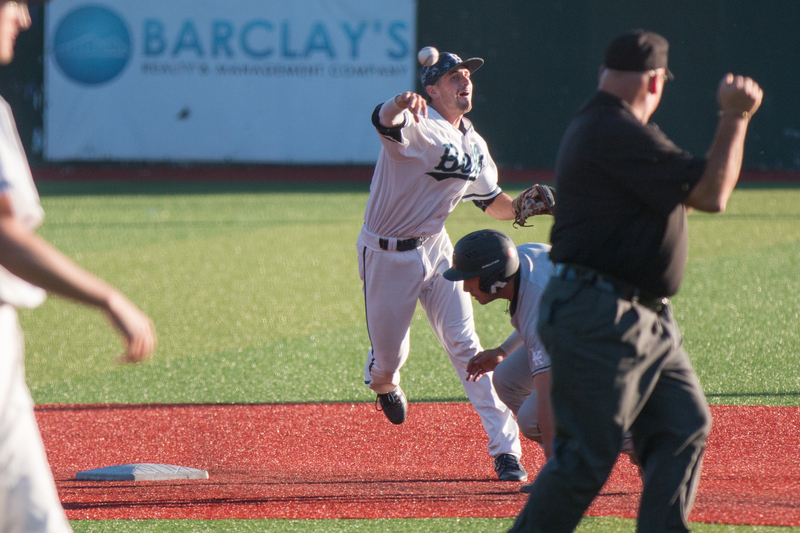 The Bellingham Bells (2-2) out hit the Yakima Valley Pippins (2-2) 12 to 4 on Monday night at Yakima County Stadium. 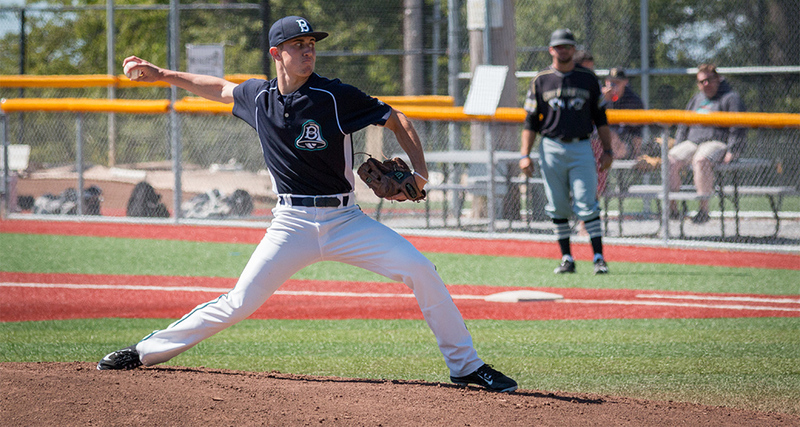 But the Pippins outscored Bellingham 4-2 to pick up their second win of the season. Bellingham finishes the weekend with a win, beating the GreyWolves 7 to 4. Catch up on recap of the action from tonight's game. Center fielder Shane Hanon had a big day, leading the way for a 7-0 Bells win against the Gresham GreyWolves. The Bellingham Bells have added multiple ten-day players to the 2017 roster. Get to know our newest member of our front office staff, Haily Tift! 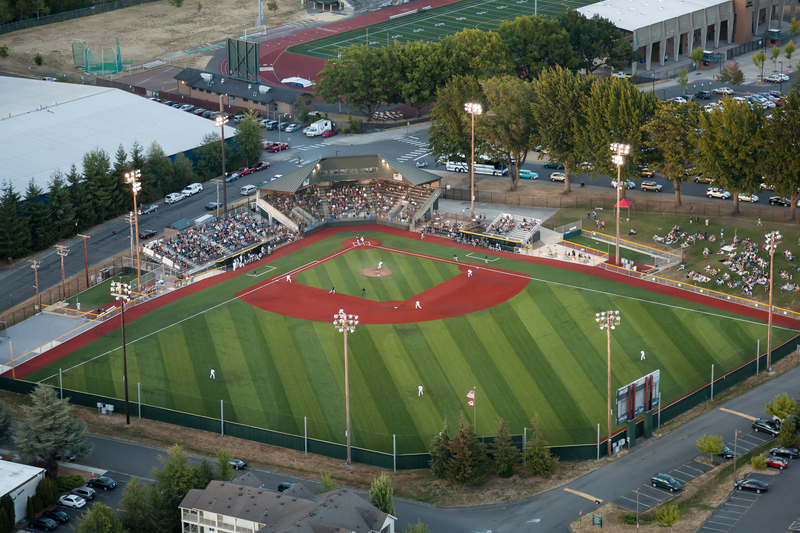 The Bellingham Bells have announced the addition of two pitchers from the top ranked team in the nation, the Oregon State Beavers. Get to know everyone's favorite Bellinghamster...Dinger! Get to know the voice of the Bellingham Bells, Tom Prizeman! Behind the scenes, the front office is hard at work preparing for every season. Now is your chance to get to know them outside the office! More Pac-12 talent will be added to the roster for the 2017 season. Catch up with two players from the 2016 season making an impact for their current colleges. Get to know the Bellingham Bells staff outside of their uniform. 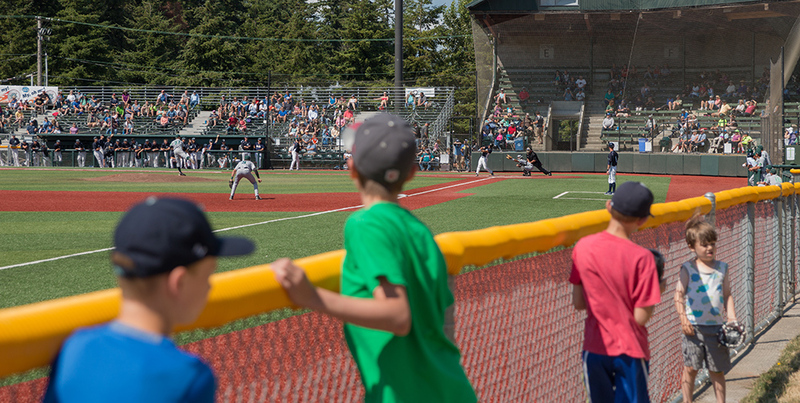 Two popular promotions will return to Joe Martin Field for the upcoming season. The Bellingham Bells are adding another arm from the Pac-12 for the upcoming season. Two Bells from the 2016 season are the focus for this week's alumni update. The promotion schedule is now released for the 2017 season. Get to know Rick Teegarden, the newest member of the Bellingham Bells coaching staff. Colby Barrick is the latest addition to the 2017 roster. Catch up with two former Bells mid way through their collegiate seasons. Haily Tift has been hired as the new Marketing Coordinator for the Bellingham Bells. Get to know the new head coach for the Bellingham Bells, Greg Goetz. Purchase your tickets now for the upcoming Bells season! 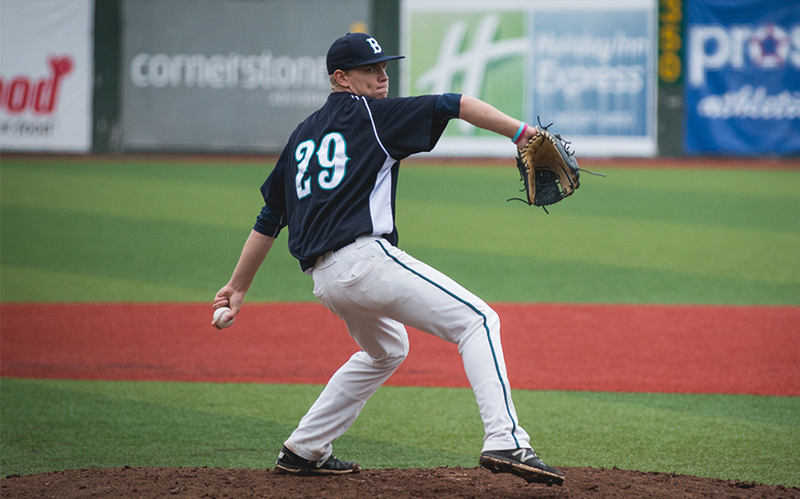 This week's alumni update features the 2015 Bellingham Bells. Read more to find out where life and baseball have taken these former Bells! Learn more about our staff outside their coaching uniform. A duo from Long Beach State will be taking the field for Bellingham this summer. Get a behind the scenes look into how the roster gets pieced together before Opening Day with recruiting coordinator, Coach Jim Clem. Find out more about some familiar faces from the 2016 season. Two talented backstops will be joining the Bellingham Bells for the 2017 season. Where in the world are our former Bells? Join us every Thursday to check in on former players and staff as we highlight their successes and accomplishments. We couldn't be prouder of our Bells' alumni! Howard currently is a redshirt sophomore for the Cal Poly Mustangs. The right-handed pitcher is off to a great start for 2017, posting a 0.84 ERA in 7 appearances on the mound. Of those 2 appearances, he has started two games and recorded one win. He also proved to be a strong arm on the mound for the Bells over the past two summers here at Joe Martin. He recorded an ERA of 2.11 in 25 games between 2015 and 2016. To continue to follow Howard and the rest of the Cal Poly Mustangs, follow this link. Walker Olis is currently an outfielder for the Batavia Muckdogs, a Class A short-season affiliate of the Miami Marlins. His career batting average in the minors is .246 with an on-base percentage of .345. 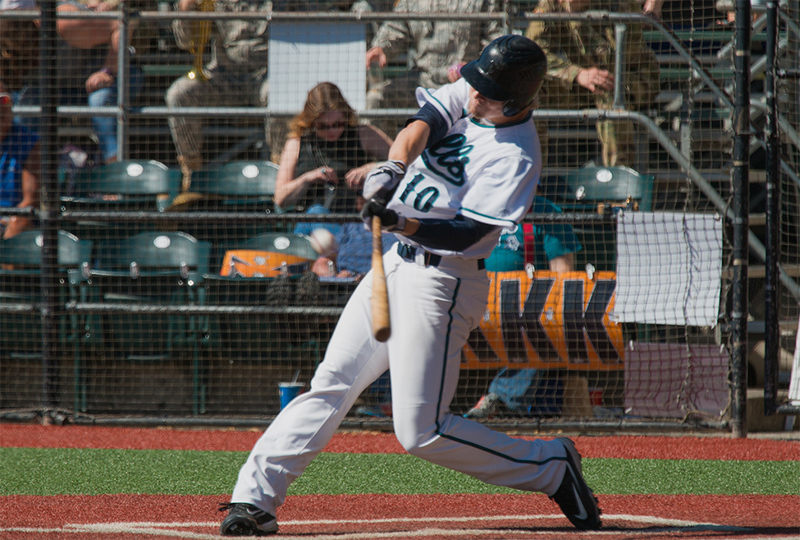 A Washington native, Olis recorded 8 home runs for the Bells in 2015 with a .251 batting average. To follow Olis's baseball career, click here. Larsen is currently a senior catcher at BYU, Utah. He is off to a great season, batting .339 and already recording 5 home runs so far, 3 less than his total home runs from last season. Bronson was a great teammate and all around great guy, according to Bells' pitching coach Jim Clem. 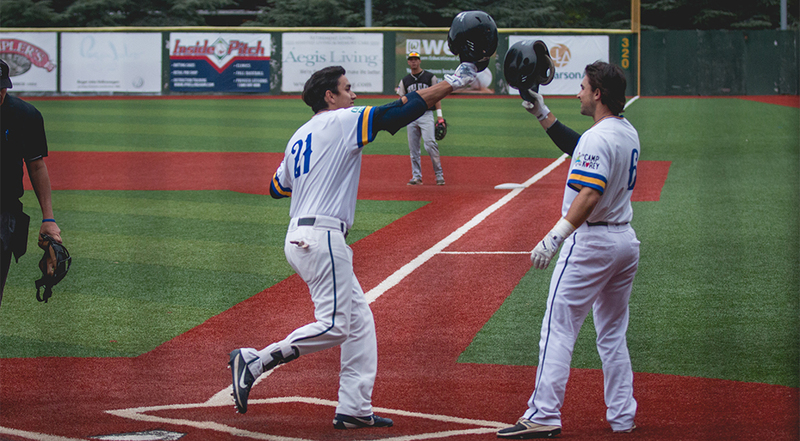 For the Bells in 2015, Bronson recorded a .248 batting average and was among team leaders in home runs with 6 on the season. To keep up to date with the Larsen and the rest of BYU's season, click here. Ernie Yake will not have to travel far to play baseball this summer. The Bellingham, Wash. native and Squalicum High School graduate, will be staying home to play for his hometown team, the Bellingham Bells, during the 2017 season. 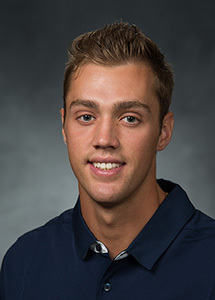 Yake is in his freshman year at Gonzaga, where the infielder is expected to redshirt. Prior to joining the Bulldogs, Yake was one of the top players in Whatcom County and Washington State. At Squalicum as a senior, Yake hit .525 with 24 runs batted in and 16 stolen bases, earning MVP of the Northwest Conference League and first team All-State honors. Yake was a two-time All-State selection and three-time All-Northwest Conference honoree with the Storm. Yake also played Legion ball for the prestigious American Legion Post 7 AAA team in Bellingham, racking up 53 runs scored and a .470 average for the club during summer 2016. Yake joins second year Bell Josh Zavisubin as the local talent representing Bellingham and Whatcom County on the Bells during the summer of 2017. 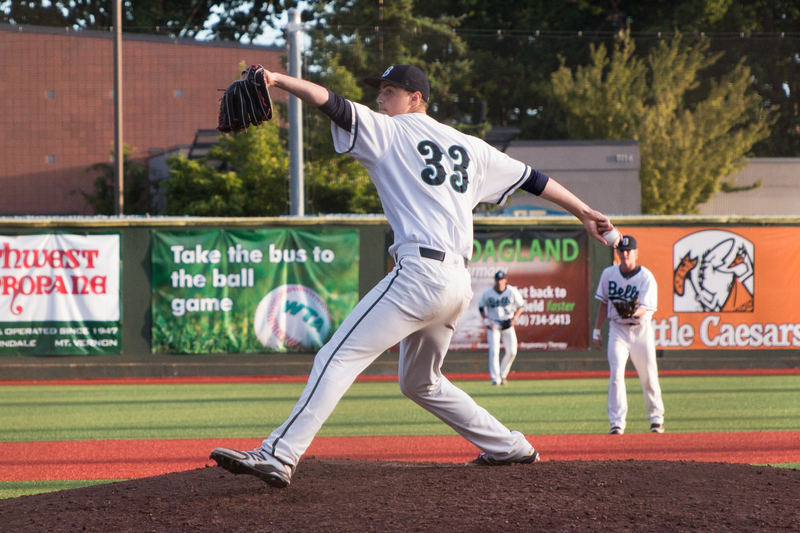 In 2016, outfielder Austin Shenton, graduate of Bellingham High School, right-handed pitcher David Stealy, alumni of Squalicum High School and Zavisubin, formerly of Sehome High School, all made major contributions to the Bells’ WCL Championship Series appearance. Catch up on a few of our All-Stars from last season. Two talented shortstops from a pair of prestigious programs are set to join the Bellingham Bells for the 2017 season. Two arms bound for UCLA will be joining the Bells in the summer of 2017. Three former Bells are making a major impact on their college teams this season. A pair of talented young pitchers from the Oregon Ducks will make the trip from Eugene to Bellingham to join the Bellingham Bells in the summer of 2017. Catch up on former Bells' game day staff members and where their careers have taken them next. Bells add left hand pitcher, Jake Mullholland, to the 2017 roster. Jack Johnson and Adam Davenport are the latest duo from UW to be added to the Bells roster for the upcoming 2017 season. Adam Davenport and Jack Johnson from UW are the latest duo to be added to the Bells for the 2017 season. Former Bells players look to make an impact for their teams in the upcoming 2017 season. Three California Golden Bears are set to join the Bellingham Bells in the summer of 2017. 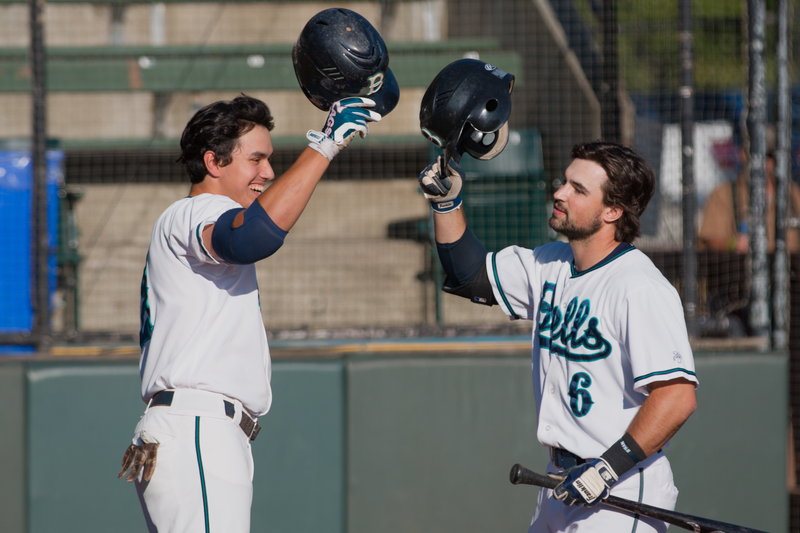 Outfielder Colin Ridley and pitcher Trevor DeLaite are the latest to suit up for Bellingham. Two talented freshman will be making the trek to Bellingham for the upcoming 2017 season. Cody Anderson, a member of the Bells pitching staff during the 2015 season, will return for 2017. Pitchers Keenan Lum from Honolulu, Hawaii and Josh Zavisubin, from Bellingham, Wash. will return to the Bellingham Bells in 2017. Outfielder Shane Hanon and infielder Dean Lawson are making a return to Bellingham for the 2017 season.